Here at Checker Cab our drivers are experienced and knowledgeable about the Tampa Bay area and always treat our customers with the utmost respect and kindness. With the largest fleet of vehicles in the area, we are able to provide quick and efficient transportation to all of our customers. 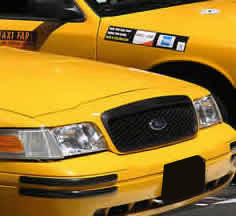 For punctual service in clean, comfortable, regularly serviced taxis and town cars, call Checker Cab today. Call Checker Cab today at 813-229-1888 to make a reservation or browse our website to learn more about why you should choose Checker Cab. For questions and comments or to make an online reservation, please contact us.